Why do I need a surety bond for my Alabama Notary Public commission? This surety bond is required by the Alabama Secretary of State for any individual applying for an Alabama Notary Public Commission. It serves as a protective measure for the public against financial damages that may result from negligence or fraud on behalf of the Notary Public. A surety bond is a three-way agreement between a Principal (the individual applying for the Notary Public commission), the Obligee (the Alabama Secretary of State), and a surety company (the company backing the bond). A surety bond does not function like an insurance policy for the Principal; instead, it is a guarantee to the Obligee that the Principal understands and agrees to comply with all duties and obligations pertaining to their commission. These duties and obligations can be found in the Code of Alabama: Act 2011-295. This $25,000 runs for 4 years, concurrent to the Notary Public Commission, and costs $100 for the entire term. Depending on the Parish you are applying for a commission in, you may be required to file your surety bond before your commission is issued, or will receive your commission before filing for a bond. If you are unsure of the order for your commission, consult your county probate judge. 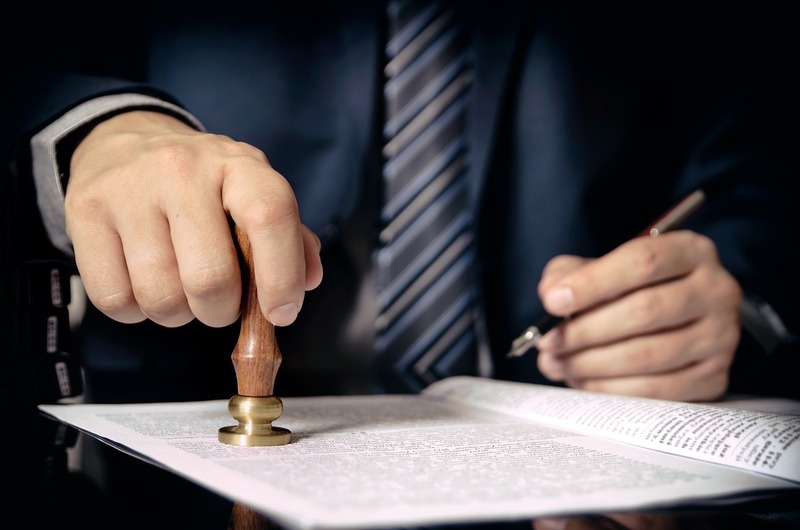 In the event that the Notary Public violates the terms of their commission, a claim will be filed against their bond to cover any financial damages. The surety company will pay the initial damages, at which point the Principal is required to repay the surety company for the full amount. In addition to repayment, the surety company may revoke the surety bond, at which point the commission will be invalid until a new bond is filed. Understand that a claim against your bond will complicate any future surety bond applications. Think of a claim as a mark against your “credit” in the surety market. A surety bond is an indication of competence and trust, and a claim signals an inability to follow the guidelines properly. The bond protects the public if the notary makes an intentional or unintentional mistake that causes financial damage to the public. Anyone applying for a Notary Public commission in the State of Alabama must file this bond. Some counties require this bond to be submitted before the commission is issued - others simply require that it is filed and active for the entire duration of the commission. This $25,000 bond costs $100 ($70 premium + $30 fee) and runs for the entire duration of the 4-year Notary Public commission. To apply for your Alabama Notary Public Bond, complete and submit the application below. You may also download a .pdf application, and email it to apps@southcoastsurety.com, or fax it to (949)361-9926. If you choose to email or fax your application, please download and complete a payment form and attach it to your documents. Be sure to include the Parish you will be receiving your commission from, as well as a copy of your commission OR the term dates. Please note that each county in Alabama has its own requirements and procedures for becoming a notary. Some counties provide the notary with their commission first and then the notary is required to obtain a bond based on the commission. Some counties require the bond first, and then the notary is provided a commission. If you are unsure of the order required by your Parish, contact your county probate judge.